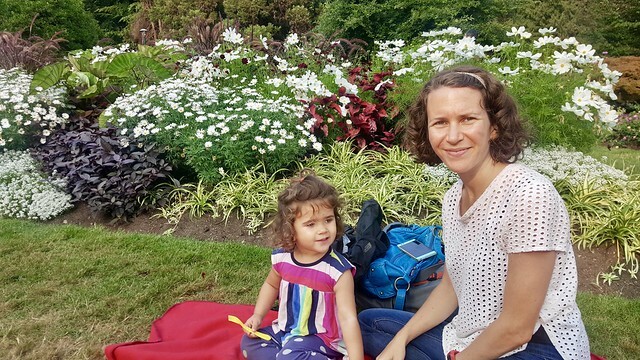 We did our best to enjoy the last bit of summer despite the smoky skies and air quality advisories. 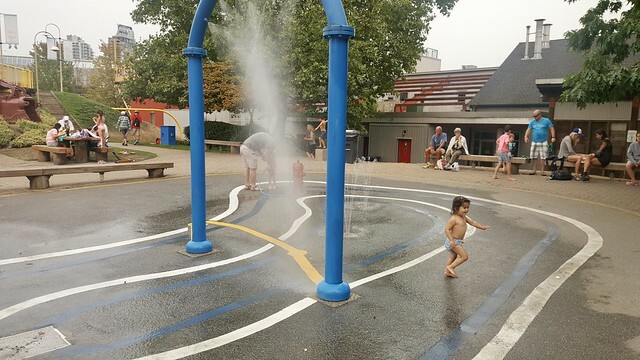 Astrid enjoyed playing in the Granville Island waterpark, and ice cream and popsicles were a regular treat. The wildfire smoke was not kind to Astrid. We survived without a hospital visit, but I was giving her the maximum amount of Ventolin every 4 hours, even at night, in order to keep her asthma under control. BC has now had back-to-back summers with record-breaking forest fires. The impact of climate change is all to real. If this is the new normal, it’s going to be hard on Astrid’s lungs. Winter is cold and flu season, which triggers her asthma. If summer is now forest fire season, she’s not going to get a break at all. I don’t want to end up as a city where we’re like, ‘OK, we air-conditioned all the buildings and they’re all clean air, so just don’t go outside’. 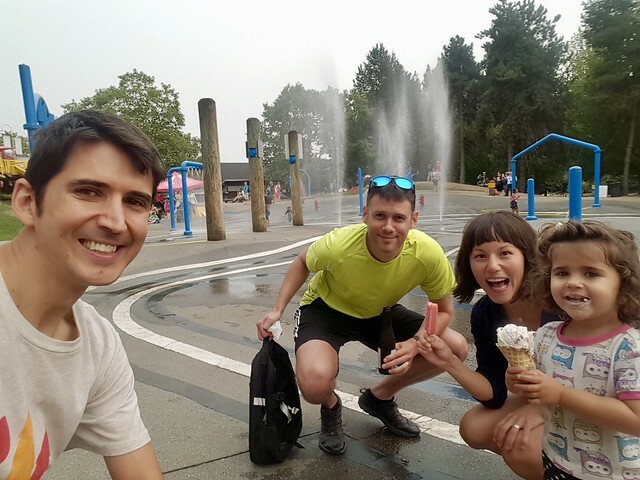 Vancouver is awesome because of all the outdoor activities we have accessible to us, and if that disappears the quality of life disappears. 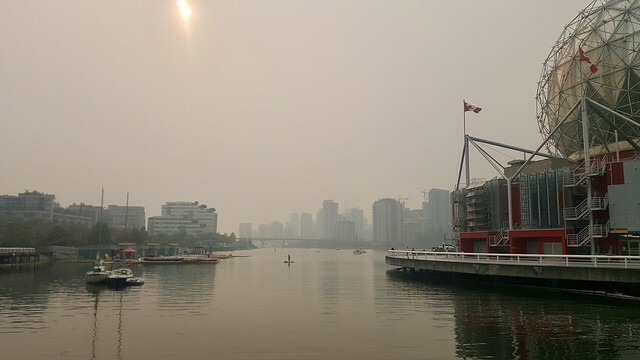 Needless to say we were overjoyed when the wind changed direction and started blowing cool, wet ocean air into Vancouver and cleared out the smoke. Me: Mama’s on an island. She took a plane there. She’s coming home in a few days. Potty training is progressing with lots of triumphs and failures. She’s peeing in the potty at least once a day but there’s still a few accidents and she wears diapers at daycare. 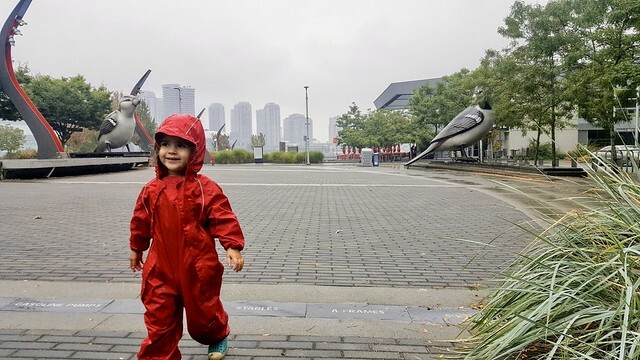 The biggest triumph was when we spent a half day at the aquarium wearing only potty pants, she went pee three times on a toilet, and we made it home without an accident. 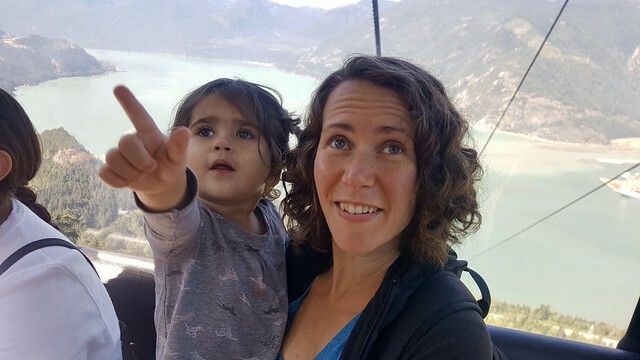 The biggest failure was one evening when she was eating dinner without a diaper or pants on (pretty common at home now) and she stood up while drinking water and peed in her food. We spent the last week of August and the September long weekend with Grandma Bev, Uncle Rick and Aunt Toni. Astrid warmed up to the three of them really quickly. 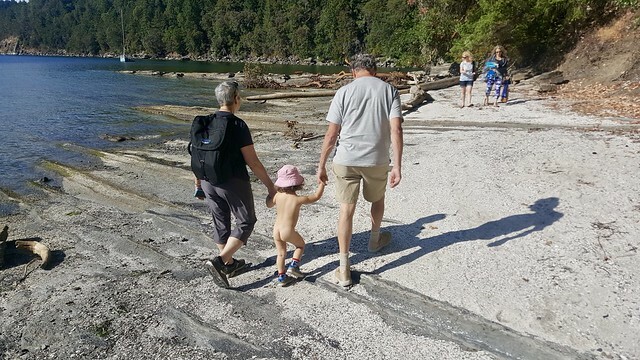 We spent one day up at the Sea to Sky Gondola and Shannon Falls and the long weekend on Galiano Island. 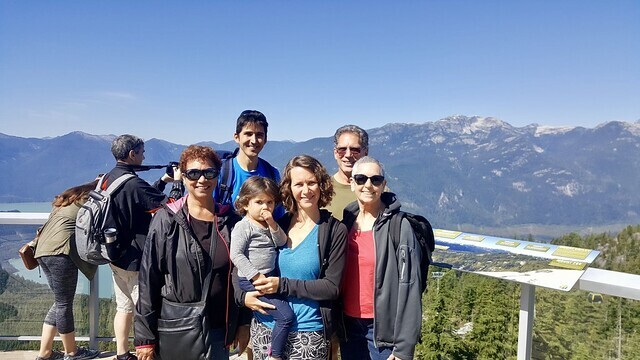 More pictures from August, the Sea to Sky Gondola, and Galiano Island.